Joseph Hume, the son of a shipmaster, was born in Montrose in 1777. Hume was apprenticed to a local surgeon and after finishing his training in Edinburgh he worked as a doctor for the East India Company. Hume impressed his employers and he soon held a senior position in the company. When Hume returned to Scotland in 1808 he was a rich man. He now turned his attention to politics and in 1812 he was the successful Tory candidate for the Border constituency. Once in Parliament Hume's political views began to change and by 1818 he supported the Whigs. As well as supporting universal suffrage, Hume campaigned for religious freedom including Catholic emancipation. 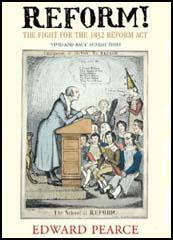 In 1824 he managed to persuade the House of Commons to obtain a select committee to investigate the Combination Acts. Other policies advocated by Hume included the setting up of savings banks, the abolition of flogging in the army and an end to imprisonment for debt. Hume's Radical views meant that he had to switch to the Middlesex constituency. By 1830 Joseph Hume was seen by many people as the leader of the movement for universal suffrage in the House of Commons. As a Radical, Hume was not satisfied with the 1832 Reform Act and continued to argue from an extension of the franchise. William Lovett worked closely with Hume: "Among those who supported the Charter was the persevering and consistent reformer, Joseph Hume. I believe that no man was ever more preserving in seeking to carry the principles of reform into every department of the state than was Mr. Hume. And certainly, of all men, whose efforts to free the working classes from the enthrallment of the infamous combination laws, he is the most worthy of honour, and of their grateful remembrance." Hume worked closely with William Lovett and in 1839 he helped to present the Chartist petition for parliamentary reform signed by over a million people. With Francis Place Hume tried hard to unite middle class and working class radicals. 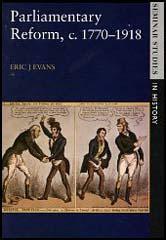 However, Hume was totally opposed to the tactics advocated by Fergeas O'Connor and the physical force Chartists. Samuel Smiles was also impressed by Hume's dedication: "Joseph Hume distinguished himself by his indefatigable industry. There is scarcely a page of the parliamentary register which does not contain some record of his sayings and doings. In the finances, the revenue, the excise, the public accounts, the army and navy, the representation of the people, the removal of religious disabilities, he was always at work. He was the most regular attender, the most consistent voter, the most laborious investigator, the most active and useful member, perhaps, who ever sat in Parliament." In 1839 Hume and William Lovett presented the Chartist petition for parliamentary reform signed by over a million people. With Francis Place Hume tried hard to unite middle class and working class radicals. However, Hume was totally opposed to the tactics advocated by Fergeas O'Connor and the physical force Chartists. Joseph Hume's support for the Nonconformist demands for a reduction in the power of the Anglican Church led to charges of him being part of a Popish conspiracy. In the 1837 General Election his opponents used the campaign slogan "No Popery" and the strong anti-Catholic feelings in Middlesex resulted in him being defeated. Joseph Hume's attempts to became M.P. for Leeds ended in failure but in 1842 he was elected to represent his home town of Montrose. After the decline in Chartism in 1848, Hume lead the campaign for the Little Charter, based on the idea of triennial parliaments and the vote being granted to ratepayers. Joseph Hume represented Montrose until his death in 1855. Among those who supported the Charter was the persevering and consistent reformer, Joseph Hume. I believe that no man was ever more preserving in seeking to carry the principles of reform into every department of the state than was Mr. Hume. And certainly, of all men, whose efforts to free the working classes from the enthrallment of the infamous combination laws, he is the most worthy of honour, and of their grateful remembrance. From the time he took his seat in Parliament, down to the year 1841, when he offered himself to the Leeds constituency, Joseph Hume distinguished himself by his indefatigable industry. There is scarcely a page of the parliamentary register which does not contain some record of his sayings and doings. In the finances, the revenue, the excise, the public accounts, the army and navy, the representation of the people, the removal of religious disabilities, he was always at work. He was the most regular attender, the most consistent voter, the most laborious investigator, the most active and useful member, perhaps, who ever sat in Parliament.